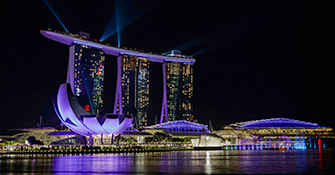 The Marina Bay Cooling system is the largest underground district cooling network in the world. 25 meters underground, the system serves as a centralized location to pipe chilled water for air conditioners in buildings in the district. It also collects used water from these buildings to reuse in this process. This plant is estimated to reduce energy costs by 40 percent and lower emission. The Landfill, situated on Semakau Island, is Singapore’s first offshore landfill and the last remaining landfill in the country. Covering a total area of 3.5 square kilometers, the landfill began operations in 1999 and is expected to be in use until 2045. 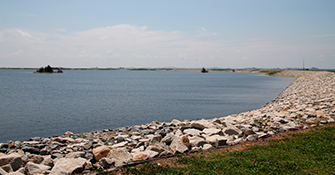 An innovated design, which included silt screens to protect the surrounding coral and the introduction of an impermeable layer to deter leaching, has ensured that this site remains clean, pristine, and scenic – despite its function as a landfill. 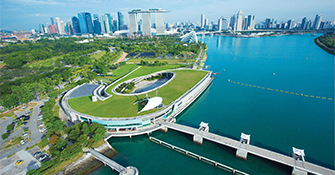 Marina Barrage is the vision of the late Mr. Lee Kuan Yew (the first Prime Minister of Singapore) more than two decades ago when he envisaged damming the mouth of the Marina Channel to create a freshwater reservoir. The Marina Barrage brings about three benefits: a source of water supply, flood control, and a venue for lifestyle attraction. 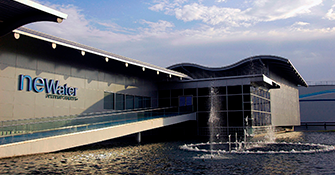 Housed at Marina Barrage is the Sustainable Singapore Gallery. The six zones of the Sustainable Singapore Gallery trace Singapore’s sustainable development and how we have been tackling challenges to ensure that everyone continues to enjoy a clean and green environment. 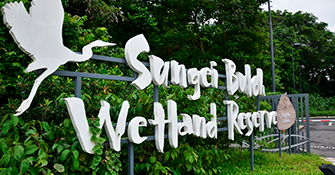 Sungei Buloh Wetland Reserve is a Nature Reserve that spans 202 ha of mangrove swamp, mudflats, ponds and rainforest along the north-western shore of Singapore. It provides a range of habitats for a broad diversity of flora and fauna. It was also recognized as a site of international importance for migratory birds. Uncover a world filled with rich biodiversity as you wander through the wetlands on the afternoon of the 5th June. o Discover membrane and ultraviolet technologies that make NEWater so clean.